This luxury resort on a private lagoon is accessible by seaplane from Velana International Airport 166 km away, or via speedboat from Kunfunadhoo Island. The rustic-chic, 1- to 4-bedroom villas have private pools, butler service, living rooms and decks, as well as free Wi-Fi, flat-screen TVs and espresso machines; most are set overwater. 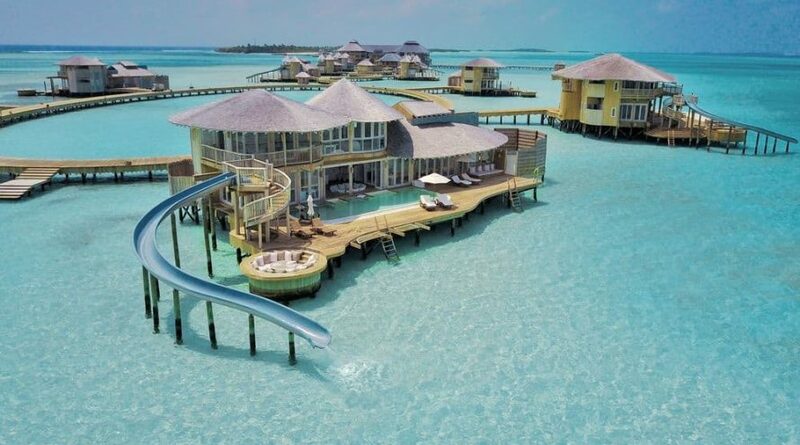 Some villas add waterslides into the lagoon. Breakfast is included, as are non-motorized water sports, weekly cocktail parties and guided snorkel trips. Other amenities consist of multiple dining options, a bar and an open-air cinema, plus an observatory, a gym, a tennis court and a spa.